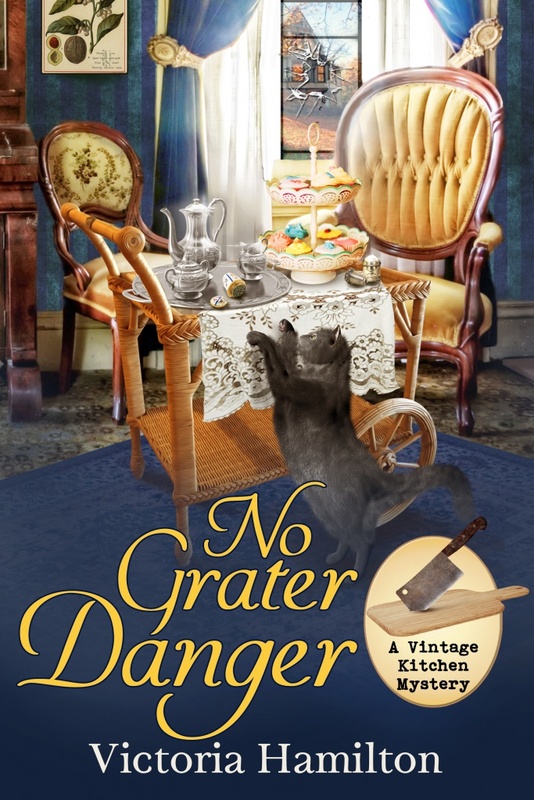 No Grater Danger, a new Vintage Kitchen Mystery, is available now! In the new Vintage Kitchen Mystery from the author of Leave It to Cleaver, someone out to spice up their life means to crush a helpless victim . . . Her first instinct is to suspect the developer, but as she digs deeper into the case she learns that her older new friend has purportedly been the victim of numerous criminal acts—all of which point to different suspects. Unsure if the stories are true or simply the confused ramblings of a senior citizen, Jaymie sifts through the clues hoping to expose the culprit, but she knows that if she keeps stirring up trouble, she’ll be next on the would-be killer’s list . . .